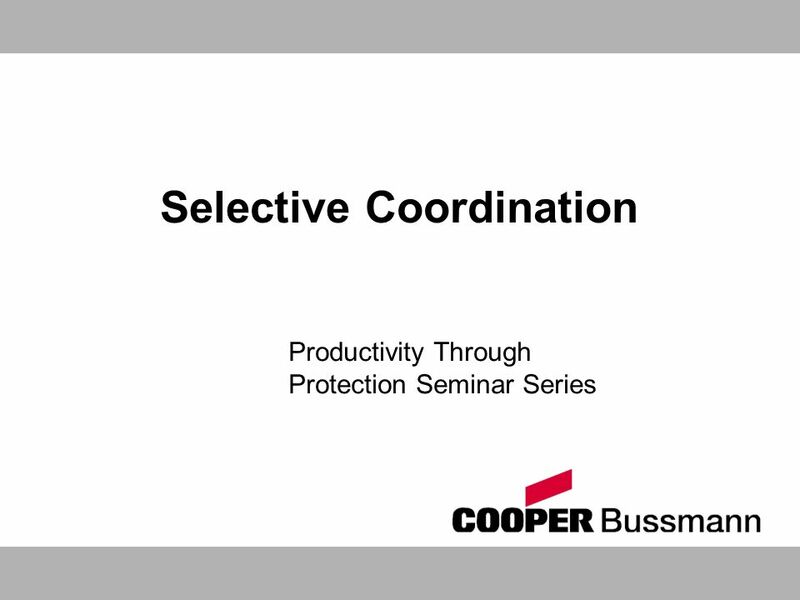 Notes Total of 28 slides Aids to assist in developing your presentation: SPD08 Selective Coordination Section p108-146, Quik-Spec Family Brochure, QSCP. 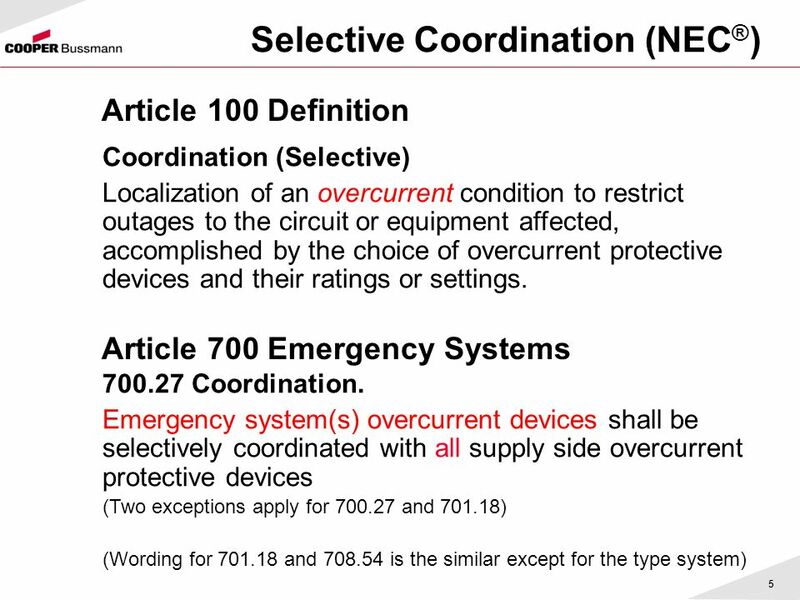 Article 100 Definition Article 700 Emergency Systems Coordination (Selective) Localization of an overcurrent condition to restrict outages to the circuit or equipment affected, accomplished by the choice of overcurrent protective devices and their ratings or settings. Coordination. 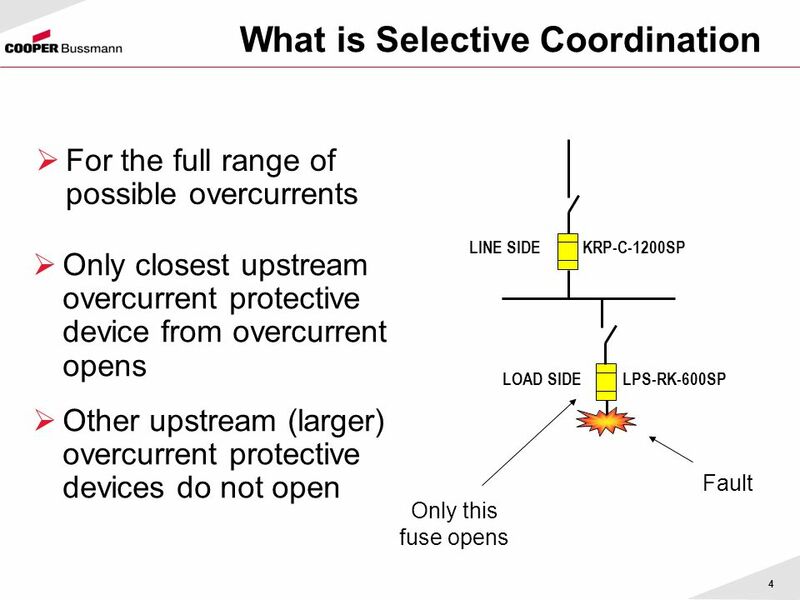 Emergency system(s) overcurrent devices shall be selectively coordinated with all supply side overcurrent protective devices (Two exceptions apply for and ) (Wording for and is the similar except for the type system) To further the understand “Selective Coordination”, this provides: The NEC definition for selective coordination. 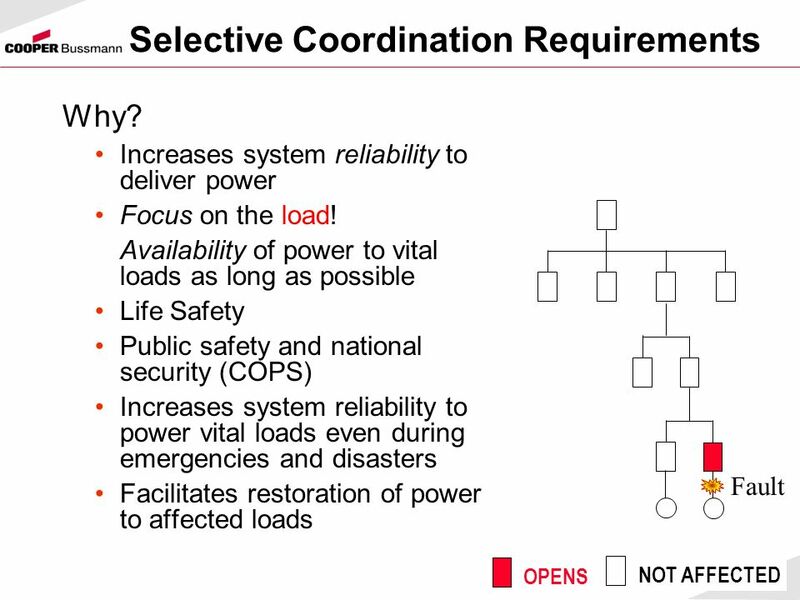 In addition is the requirement for selective coordination in emergency systems section is same requirement for Legally Required Systems is requirement for Critical Operations Power Systems (COPS). 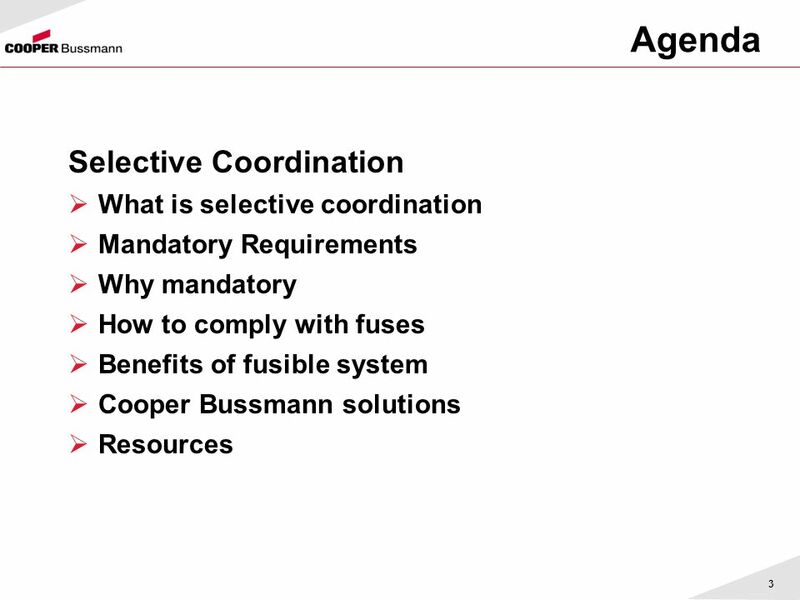 The requirements is the same except there are no exceptions. 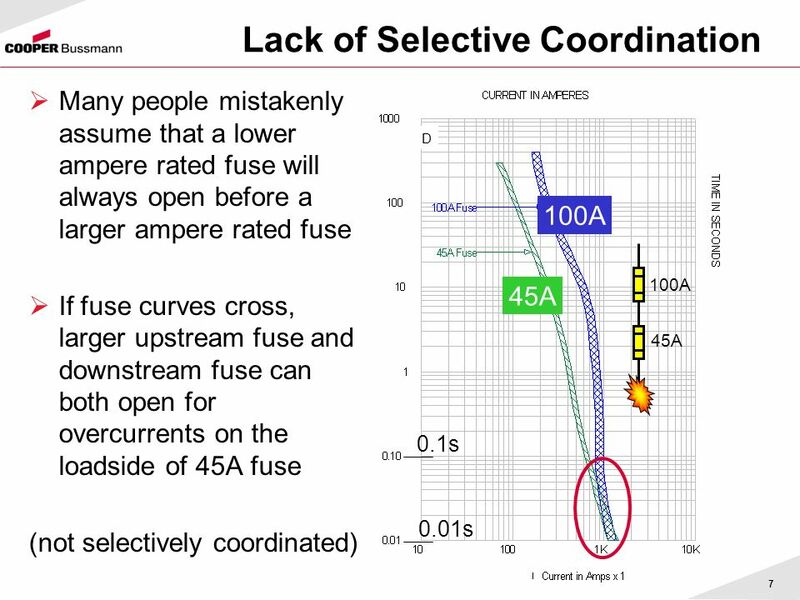 Many people mistakenly assume that a lower ampere rated fuse will always open before a larger ampere rated fuse If fuse curves cross, larger upstream fuse and downstream fuse can both open for overcurrents on the loadside of 45A fuse (not selectively coordinated) Selective coordination is not just any fuse amp rating being larger than the amp rating of a downstream fuse. It has to be properly analyzed. 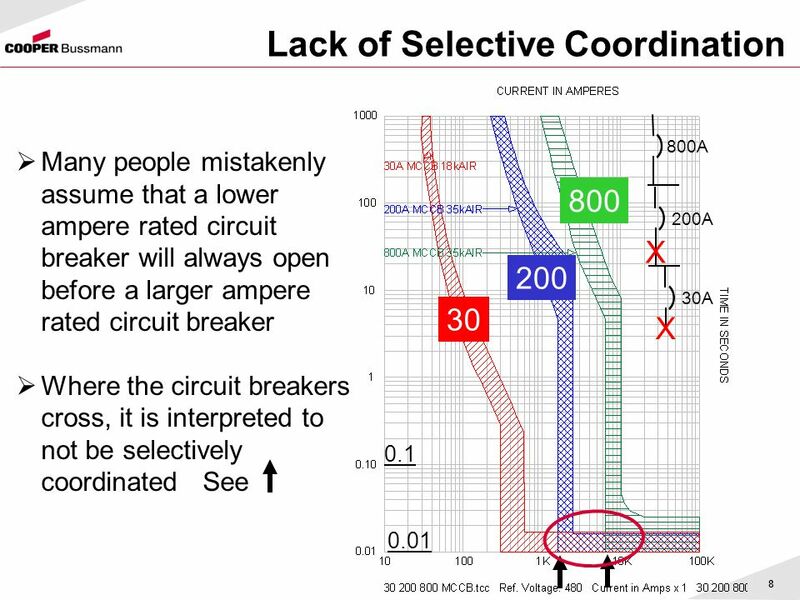 0.01 0.1 30 200 800 30A X 800A 200A Many people mistakenly assume that a lower ampere rated circuit breaker will always open before a larger ampere rated circuit breaker Where the circuit breakers cross, it is interpreted to not be selectively coordinated See A smaller, downstream circuit breaker may not selectively coordinate with larger, upstream circuit breakers, These curves are for molded case circuit breakers which is the majority of circuit breakers sold. 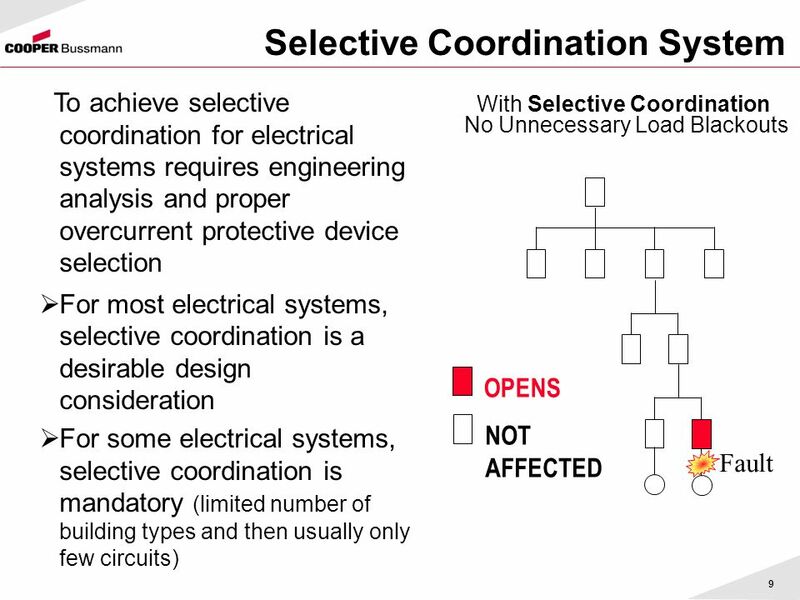 Selective Coordination requirements 100	Definition: Coordination Selective (2005) Required for Essential Electrical Systems (2005) Required for Circuits with multiple Elevators (1993) 700.9(B)(5)(b) Exception. 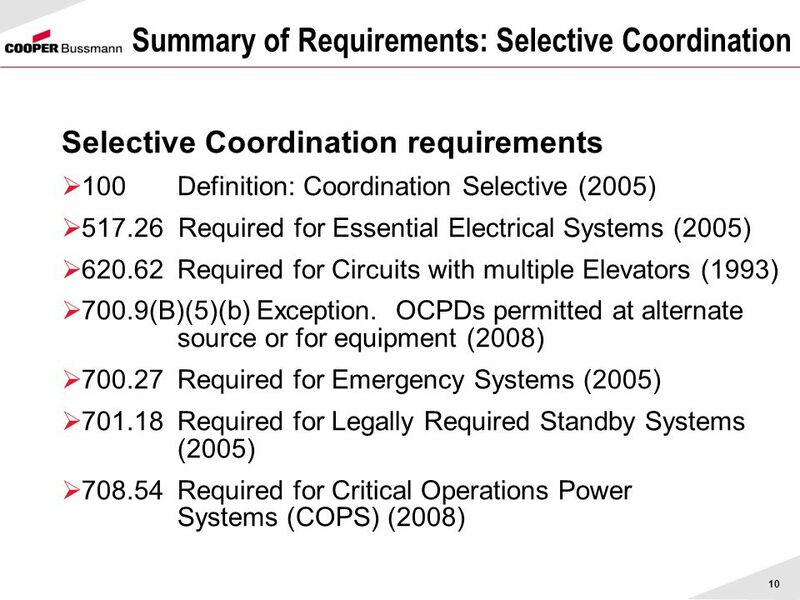 OCPDs permitted at alternate source or for equipment (2008) Required for Emergency Systems (2005) Required for Legally Required Standby Systems (2005) Required for Critical Operations Power Systems (COPS) (2008) Several sections of the 2008 NEC were added to require selective coordination for fuses or circuit breakers on specific systems. 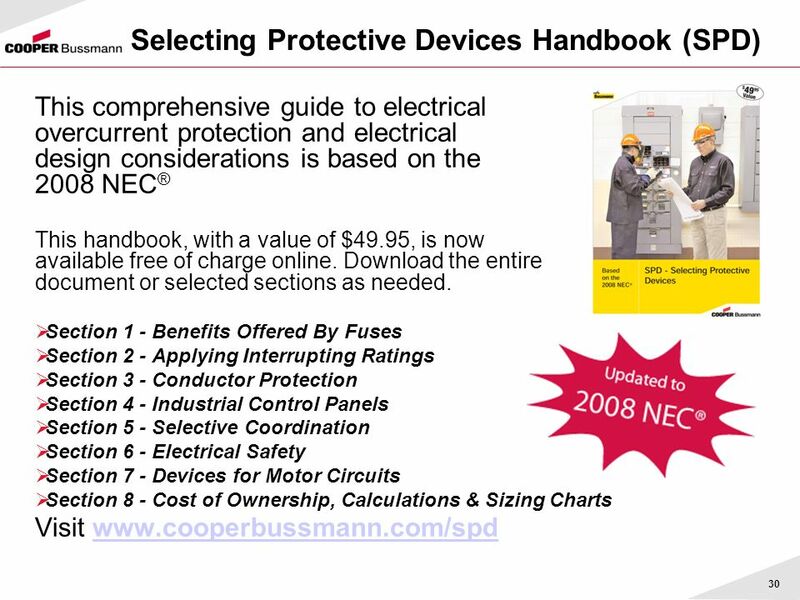 The (year) provides the National Electrical Code edition in which the requirement entered the NEC. 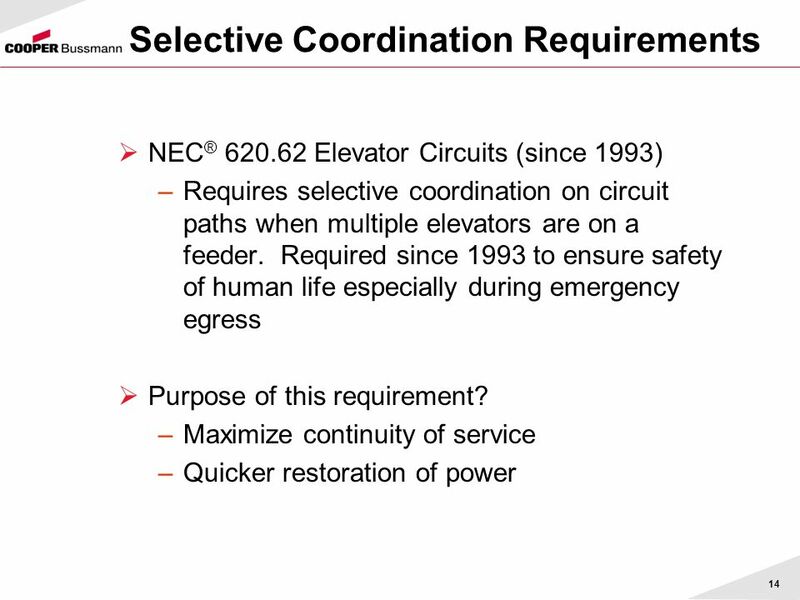 NEC® Elevator Circuits (since 1993) Requires selective coordination on circuit paths when multiple elevators are on a feeder. 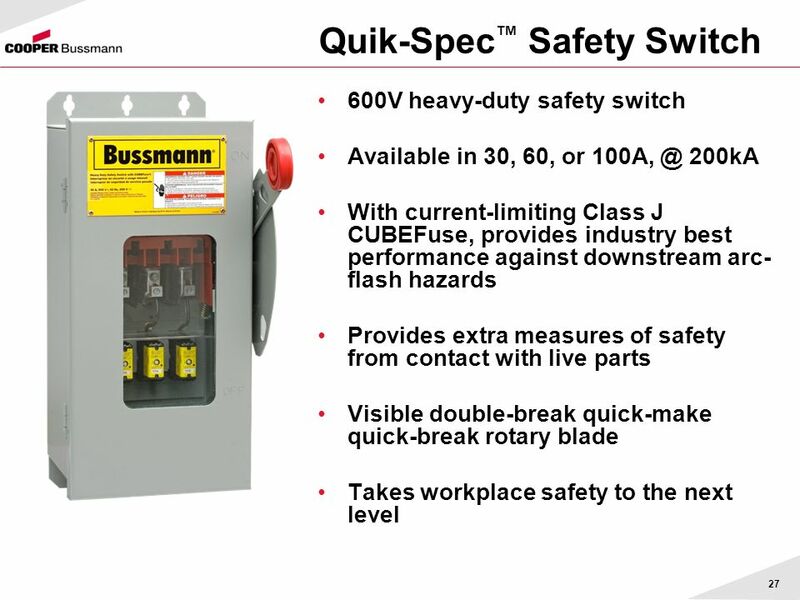 Required since 1993 to ensure safety of human life especially during emergency egress Purpose of this requirement? 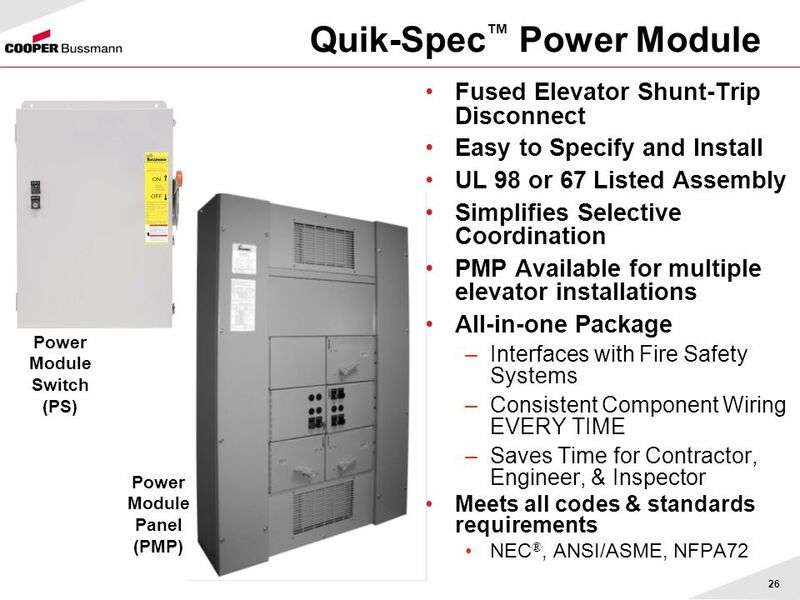 Maximize continuity of service Quicker restoration of power Required since 1993, the purpose is to avoid stranding passengers on elevators. 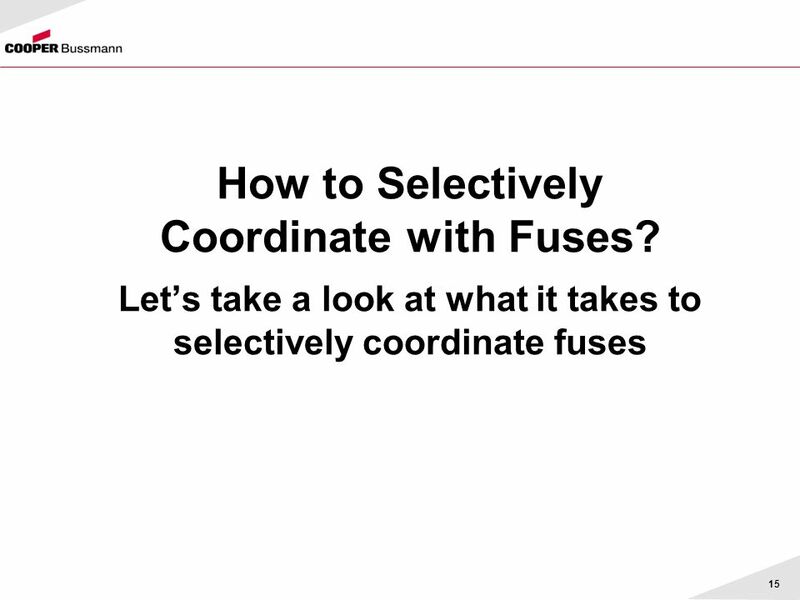 15 How to Selectively Coordinate with Fuses? 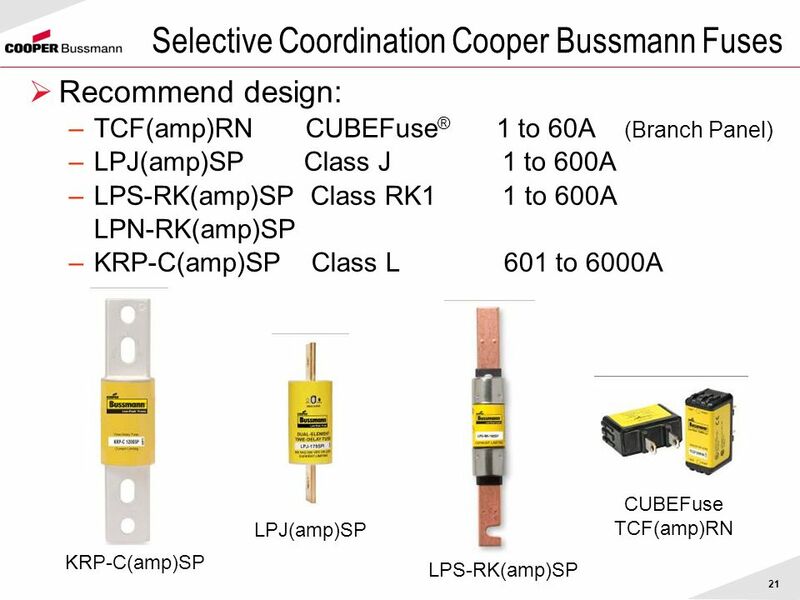 (SPD p112) Load Side Fuse Line Side Fuse At Bussmann, we have made that easy because we have reviewed all of our testing data and placed fuse ratios into a table. 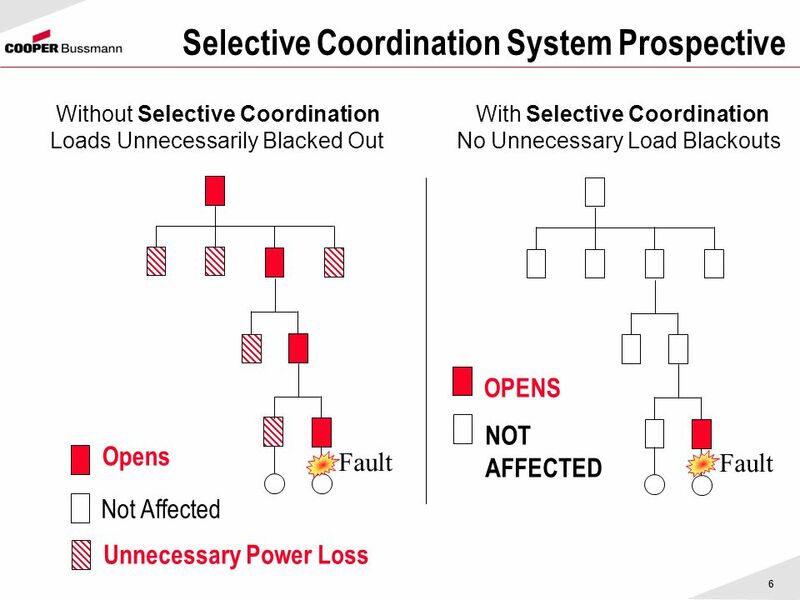 This is our selective coordination ratio table. 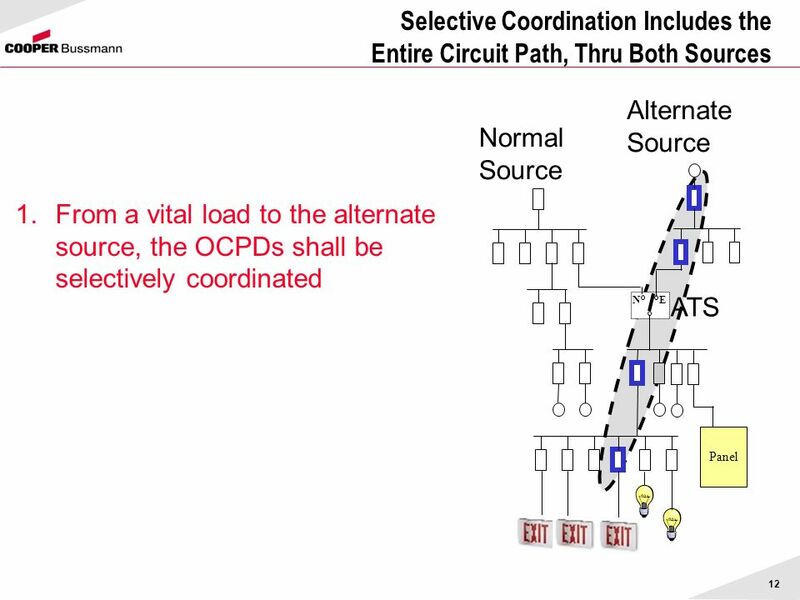 All you have to do is verify the ratio between the upstream and downstream device in order to obtain coordination. 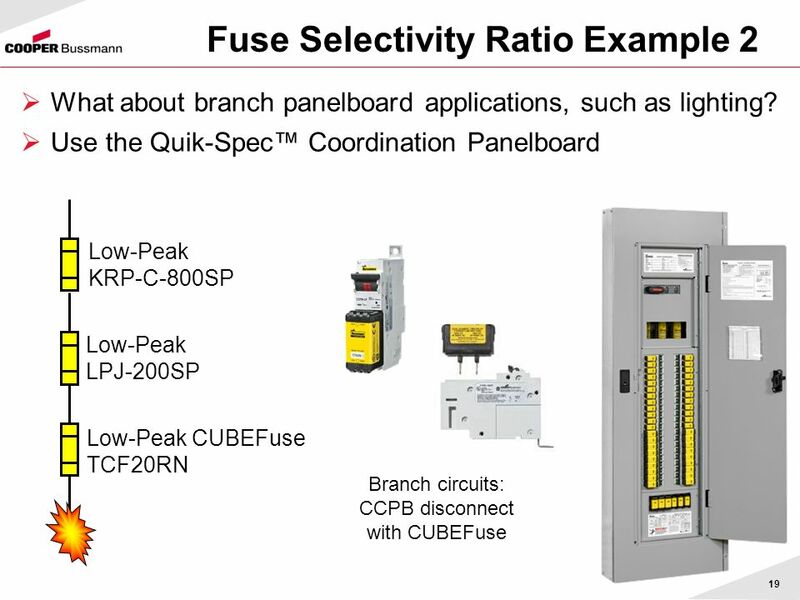 With the yellow labeled Low-Peak® fuses, the ratio is 2:1, all the way through the line. There is no need to plot all of the curves. Just verify the ratio. 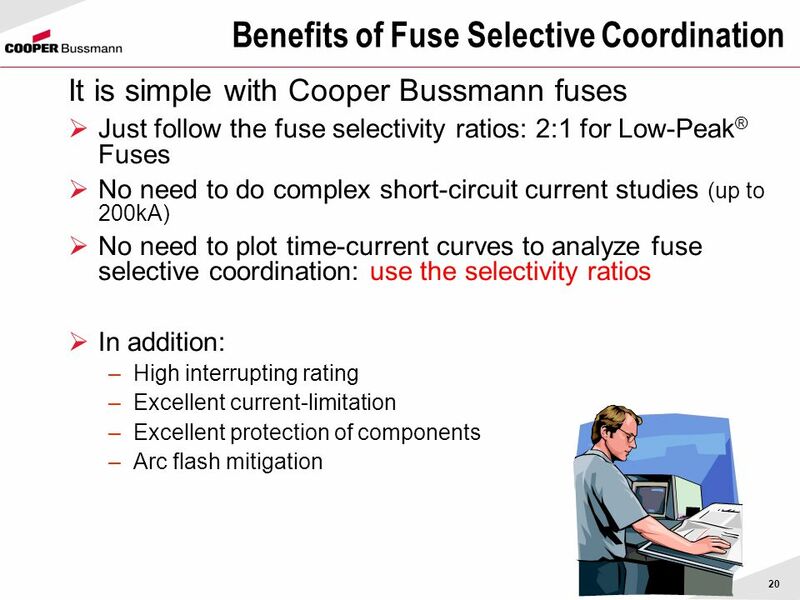 If you have a 100 amp Low-Peak® fuse, all you need to do is make sure that the upstream Low-Peak® fuse is at least 200 amps, and you are coordinated. 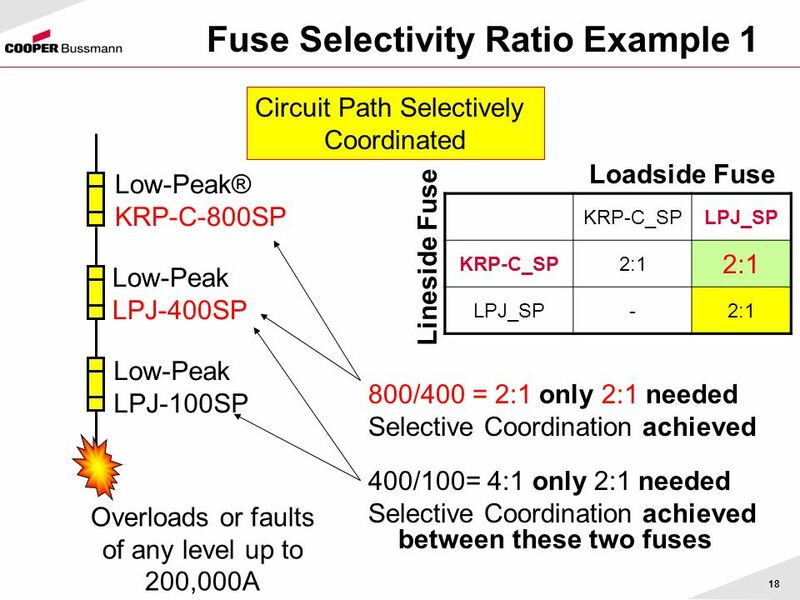 (The selectivity ratios may not be valid when the two ampere ratings being analyzed are in the same ampere rating case size such as 30 A and 15 A fuses.) 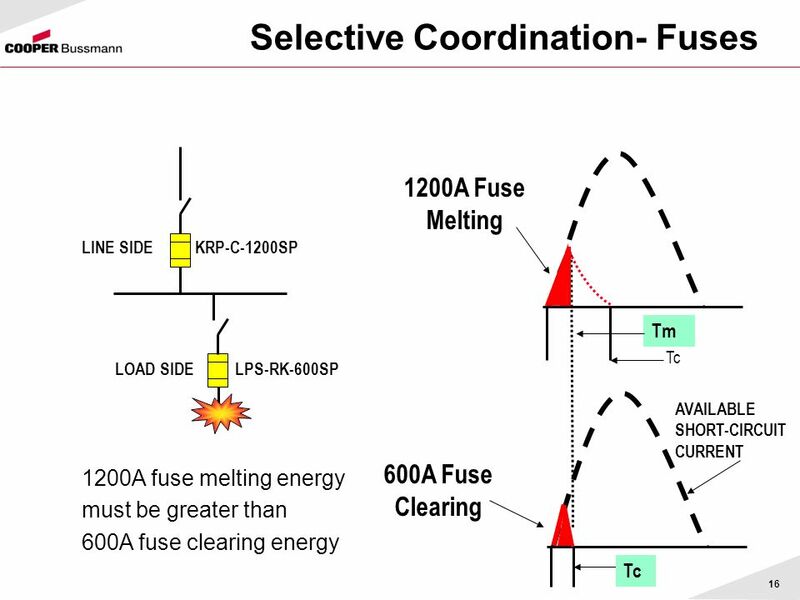 Valid up to 200ka or fuse interrupting rating, whichever is lower. 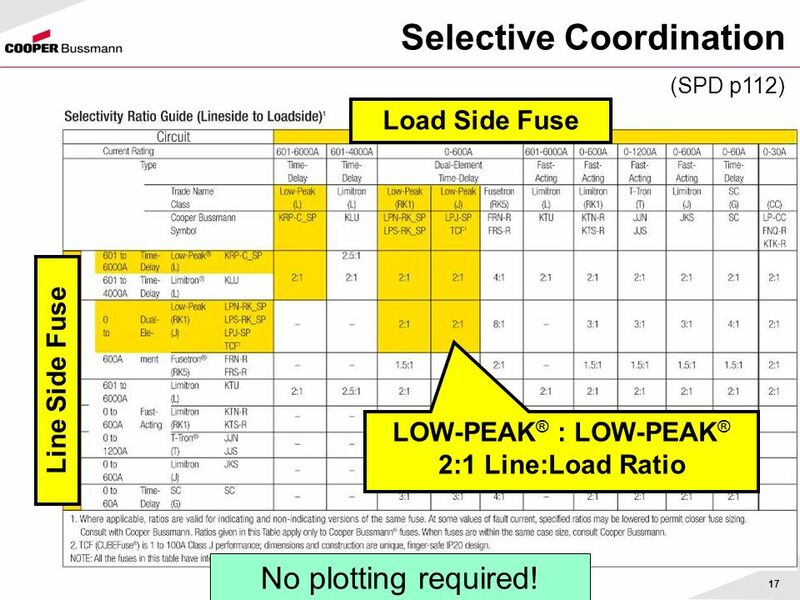 LOW-PEAK® : LOW-PEAK® 2:1 Line:Load Ratio No plotting required! 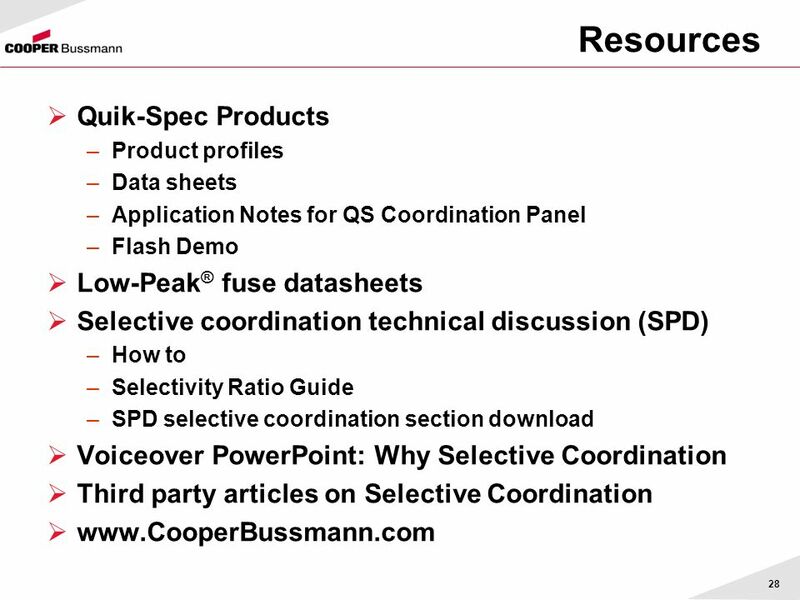 Product profiles Data sheets Application Notes for QS Coordination Panel Flash Demo Low-Peak® fuse datasheets Selective coordination technical discussion (SPD) How to Selectivity Ratio Guide SPD selective coordination section download Voiceover PowerPoint: Why Selective Coordination Third party articles on Selective Coordination Some of the resources. 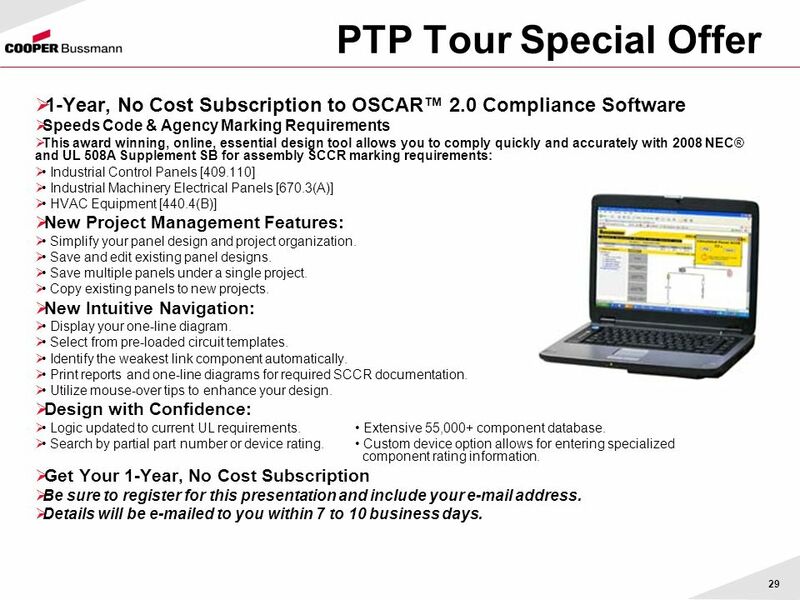 29 PTP Tour Special Offer 1-Year, No Cost Subscription to OSCAR™ 2.0 Compliance Software Speeds Code & Agency Marking Requirements This award winning, online, essential design tool allows you to comply quickly and accurately with 2008 NEC® and UL 508A Supplement SB for assembly SCCR marking requirements: • Industrial Control Panels [ ] • Industrial Machinery Electrical Panels [670.3(A)] • HVAC Equipment [440.4(B)] New Project Management Features: • Simplify your panel design and project organization. • Save and edit existing panel designs. • Save multiple panels under a single project. 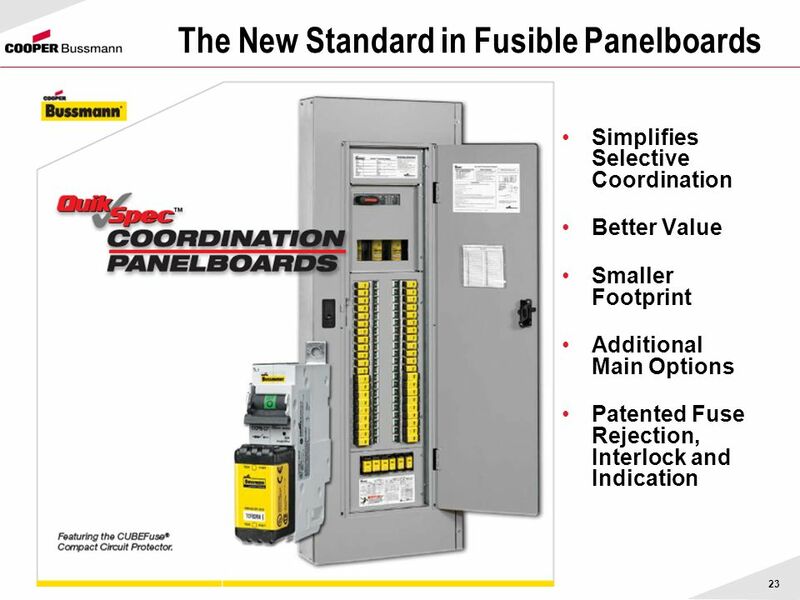 • Copy existing panels to new projects. New Intuitive Navigation: • Display your one-line diagram. 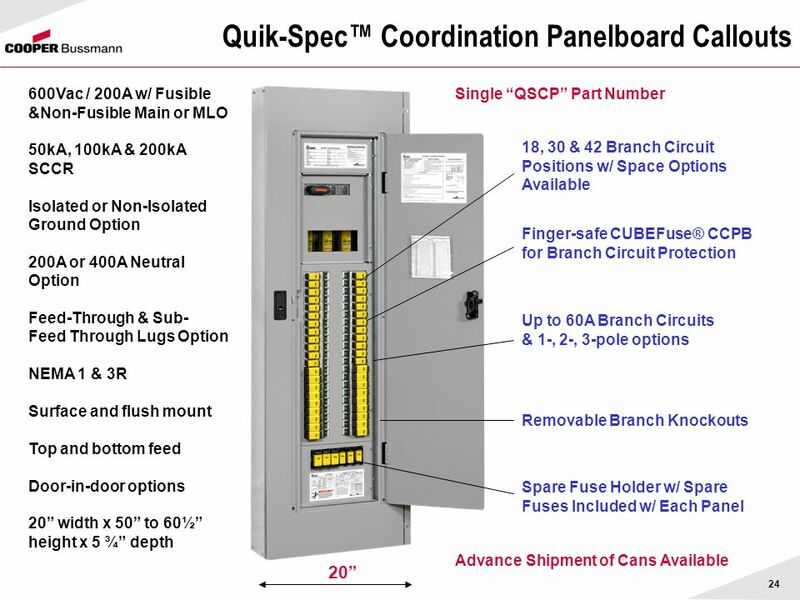 • Select from pre-loaded circuit templates. • Identify the weakest link component automatically. 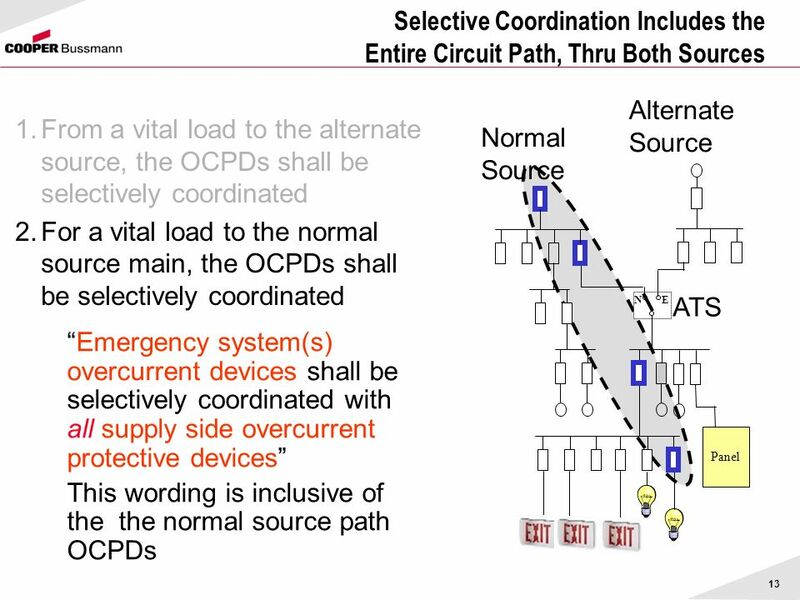 • Print reports and one-line diagrams for required SCCR documentation. • Utilize mouse-over tips to enhance your design. 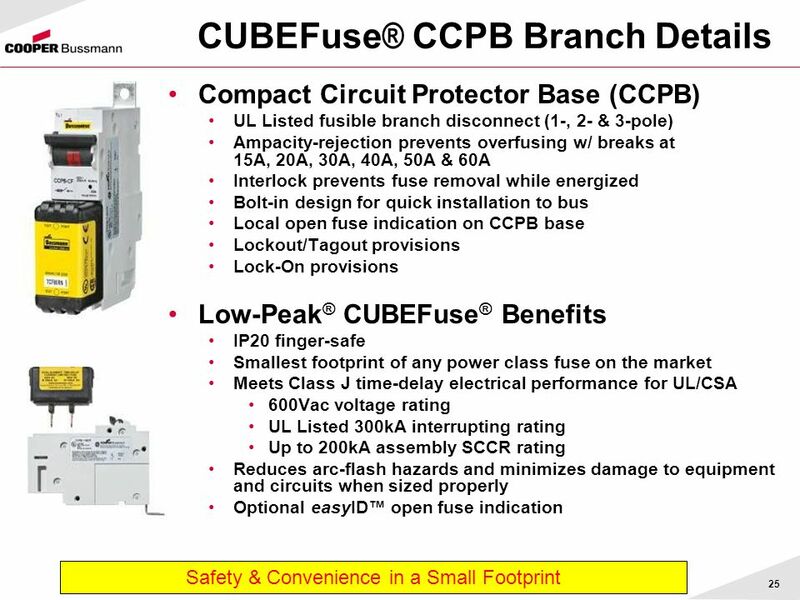 Design with Confidence: • Logic updated to current UL requirements. • Extensive 55,000+ component database. • Search by partial part number or device rating. 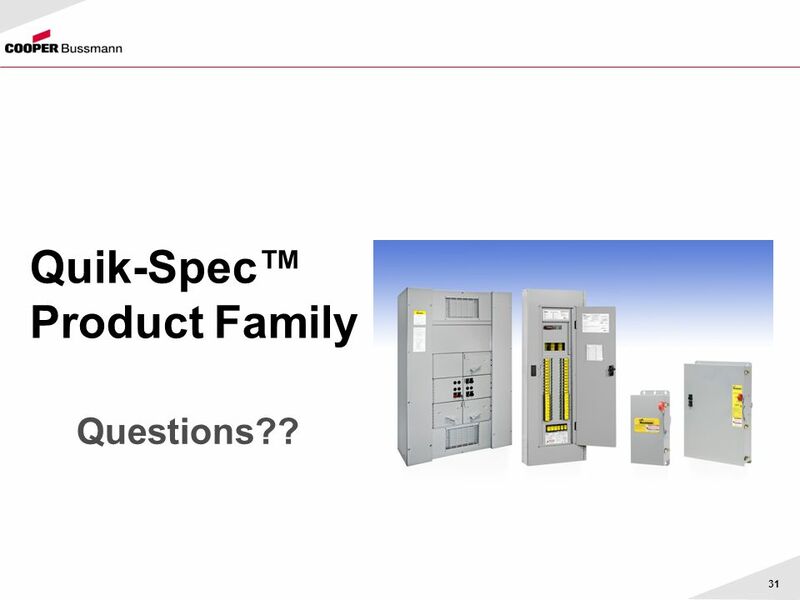 • Custom device option allows for entering specialized component rating information. Get Your 1-Year, No Cost Subscription Be sure to register for this presentation and include your address. Details will be ed to you within 7 to 10 business days. 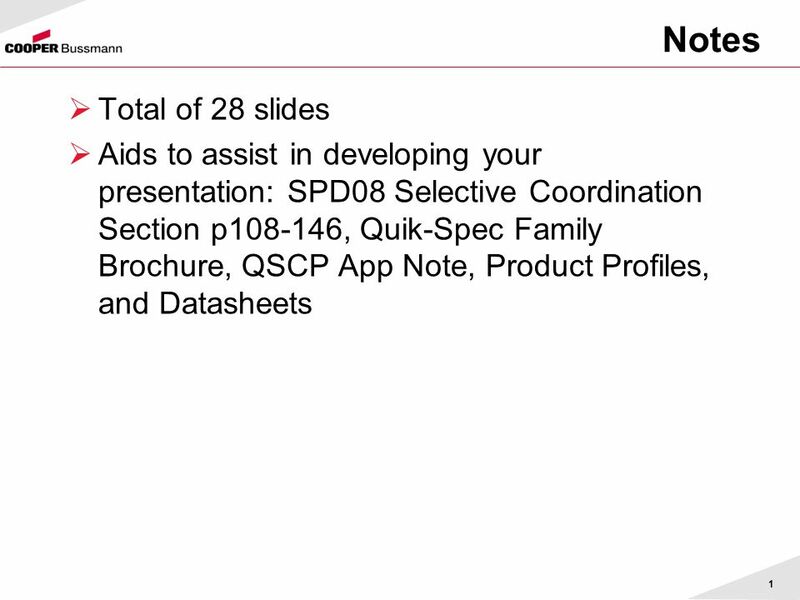 Download ppt "Notes Total of 28 slides Aids to assist in developing your presentation: SPD08 Selective Coordination Section p108-146, Quik-Spec Family Brochure, QSCP." 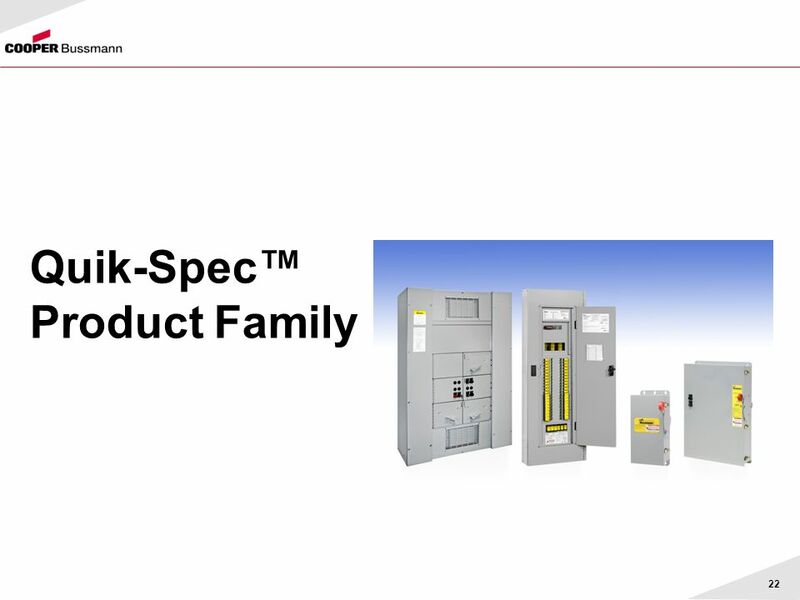 Mersen MPDB Series Next Generation Open-Style Power Distribution Blocks. CE PUWER. Which legislation applies? Which legislation applies? Product legislation Free movement of goods Employment legislation Employee protection.